In 2018 the choir became 21 years old. 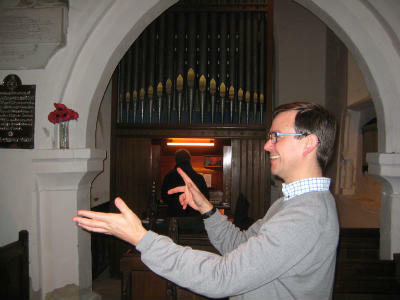 The choir was born in 1997 when Joe Oakes took the first rehearsal and realised immediately that conducting was more than waving arms in time to music, but continued as Producer for the choir. The second rehearsal was led by an experienced and accomplished musician in the form of Tommy Thomas. After Tommy, we have had the services of Kate Murdoch and, soon after the appointment of Alastair Oatey as Musical director for the Benefice, Alastair became the Choir Master. 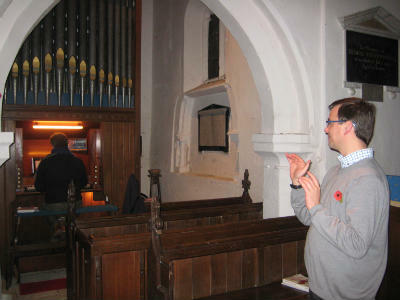 Mike Knapton has been the accompanist from the beginning. 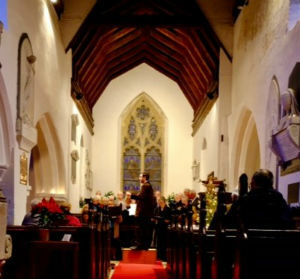 The purpose of the Choir was to provide additional music to the Church Festivals, Christmas, Easter and also for Harvest Thanksgiving, the latter including a performance at the Harvest Supper. 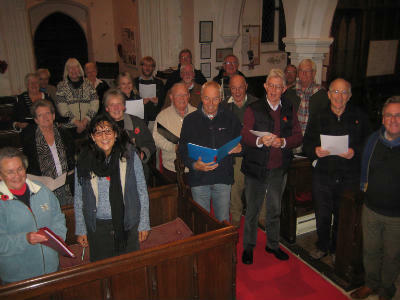 Newton has a population of fewer than 400, so voices from beyond Newton were invited to join the choir and numbers now range from 18 to 30 for the Festivals. The balance of voice parts has been has been achieved and, unusually, half of the choir is male, including three tenors. The Choir is grateful to Alastair for his enthusiasm and ability to teach music that may have been thought to be beyond its capability. As well as hymns and dipping into Mozart, Handel, Britten and, of course, Rutter for anthems, the choir has successfully performed Fauré's Requiem, Stainer's Crucifixion and Maunder's Olivet to Calvary. Most of all the enjoyment of singing under Alastair's baton has kept the choir numbers together.